This entry was posted in Bouzigues, clams, pasta by chaiselongue1. Bookmark the permalink. 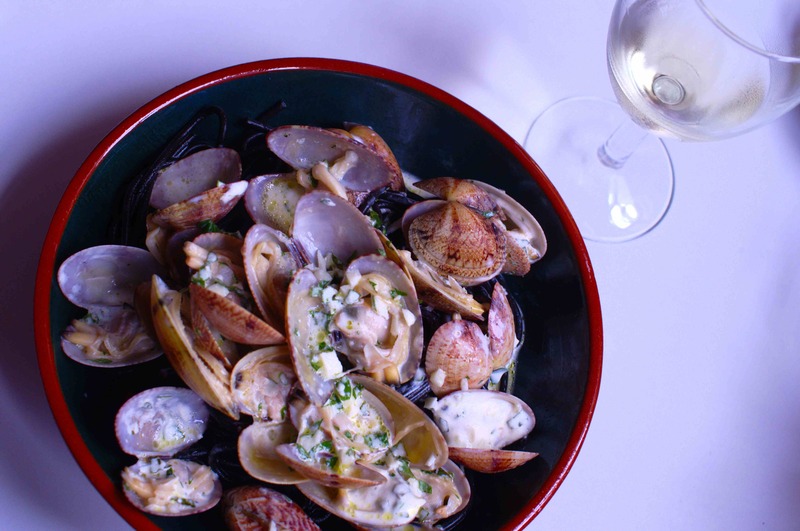 Love that you have a coquillage van and not just fish – adore clams and adore Viognier…you lucky things! We’re lucky, living only about 30 kms from Bouzigues where the coquillages are raised! Love the simple but ‘different’ way you treated the clams and, uhuh, I love Viognier also 🙂 ! Simple is best with clams, I think! 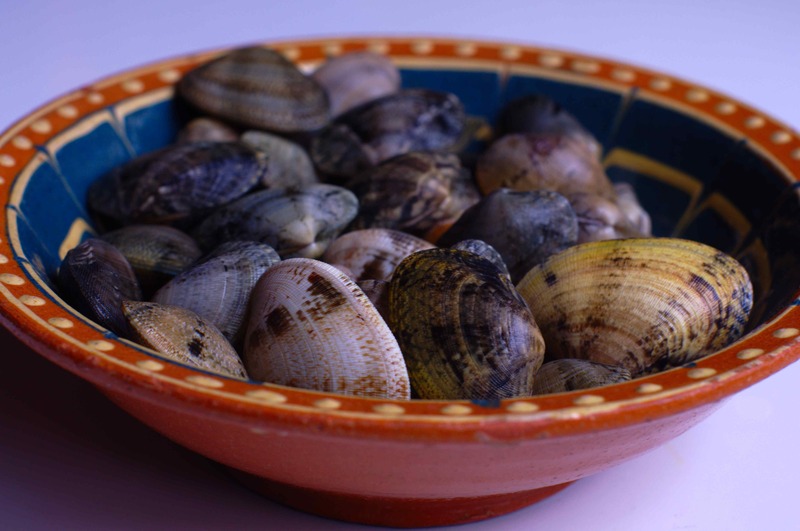 Delicious looking clams – are they “palourdes”. I must do that little recipe – lovely post. Yes, they’re palourdes and very tasty. What a perfect meal, including the Viognier! You’ve shared so many wonderful recipes for mussels and now I see your talent extends to clams, as well. 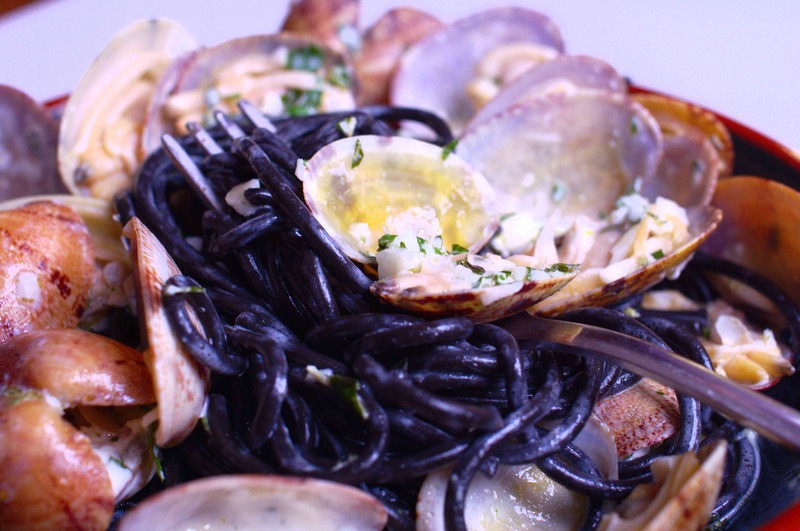 This is a wonderful dish, made even more so by the squid ink pasta. “What a treat!” is right!